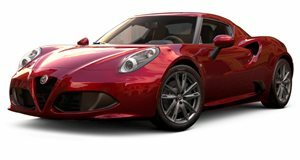 Alfa Romeo has officially returned to the North American market – with just one (albeit very limited) model. The 4C is a wonderful car but it’s anything but a mainstream model. Fortunately, it’s just the start of a reborn Alfa brand that’ll soon attempt to make its dent in the US. Supposedly, that attempt will really get underway this June when the Italian automaker unveils its mid-size sedan. Codenamed project 952, It’ll be positioned in the market between the BMW 3 and 5 Series. For those in Europe, this will be the official successor of the now discontinued 159 sedan. 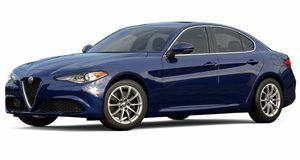 A previous rumor also mentioned the new sedan will be named Giulia, but it appears that plan is now off. What’s more, the so far unnamed sedan will be the first of three new Alfas, which will include an SUV about the size of the Audi Q5 and a flagship sedan sized between the BMW 5 and 7 Series. At some point down the road, a larger SUV will launch. And these models are just the start. A total of eight new Alfas are planned by 2018. But for now, we’re just hoping that June deadline will be met.